My girlfriend - a somewhat accomplished, up-and-coming photographer - took these pics a few months ago. I thought they turned out well, so I wanted to share them here. I'm not sure what model plane this is, but it's on display at the EAA here in Oshkosh, Wisconsin. Their website isn't working right now, but when it is, I'll try to edit this with the plane's model number. Anyway, lemme know what y'all think about the pics. The 'Hawk kinda reminds me of an old war plane - maybe a P51 or a P47! Send a private message to VTArrrgh! Find More Posts by VTArrrgh! Very cool pictures. 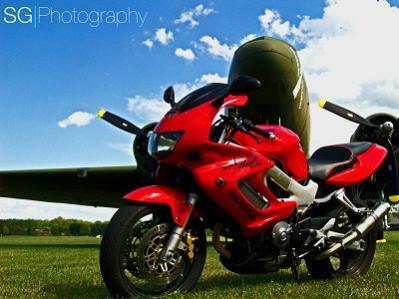 Not a P-47 or P-51, those are both fighters. that's a bomber, couldn't find it's designator.
. that's a bomber, couldn't find it's designator. I believe Erno is correct. No, I meant the Super Hawk itself is like a P51 or P47! It's military designation is C47 it's civilian version as originally designed was DC3. And no it's not a bomber but the backbone transport of WW2. I've flown on both the civilian and military versions...how about you young whipper snappers? When I went to Fort Polk LA for basic the plane that took us from New Orleans to Polk was a DC3. When I got to Vietnam they were still in limited use as as transports and gunships, Puff the Magic Dragon was a C47. Hell in some parts of the world they're still flying,they have to be pretty ragged but a credit to a good basic design. Actually there are many STCs (mods) to them one being replacing the engines with turbines. With new engines these aircraft can take off on a VERY SHORT runway. Hell I'd like to see a video of that, they didn't require alot of runway to begin with. Gooney Bird, I think NOT!!! lmao wolverine had to top it. Nah, I see the SuperHawk as a P-40 Tomahawk or as the Brits called her the Warhawk, which by the way was the base for the P51. It was light and nimble and produced for many nations. It wasn't great at anything but was more than competent at everything, just ask the Flying Tigers if there are any still alive. Genevco Corporation DC-3/C-47 N99131 | Flickr - Photo Sharing! Maybe an A10 Warthog?! 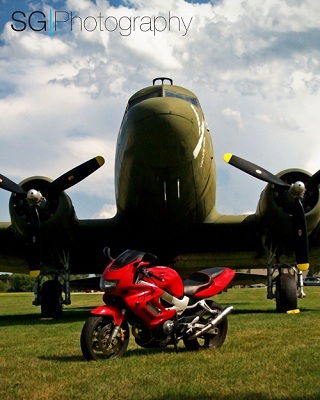 I just feel motorcycles and old planes are alike, in that the older models may be slower and less advanced, but they ooze the character I look for in a machine. I had a '96 F3 that I would have taken over almost any other Japanese sportbike. I regularly ride home from work with a guy that rides a newer R6. More often than not, I'm staring at his taillight, but I bet you $100, the smile under my helmet is far bigger than his! 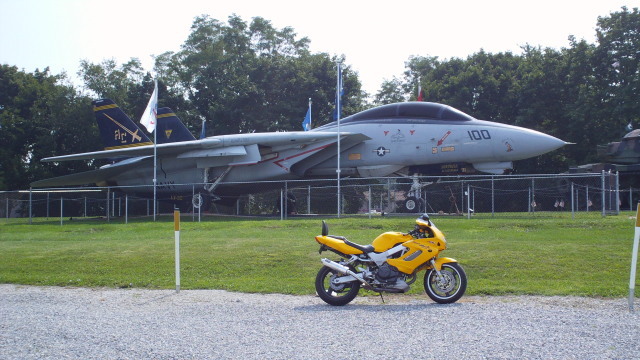 Wolverine, this past EAA, we were able to sit and watch an F18 Super Hornet go through its paces. *Very* cool to watch. At one point, it flew right over our heads and I cracked everyone up with the comment: "I think I could see Kenny Loggins!" I'm glad you guys like the pics. I had a feeling when my GF took those pics, they'd turn out pretty cool. 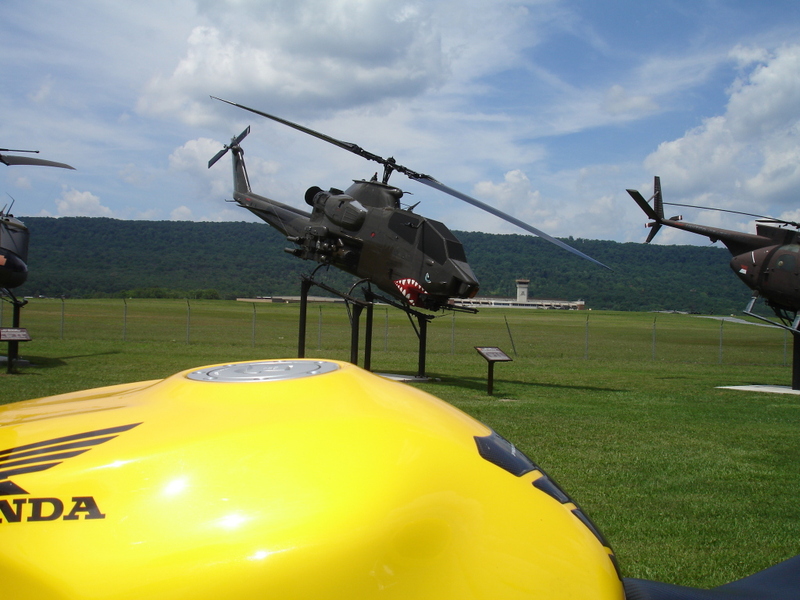 I wanted to add a picture of flying objects and Superhawks together. 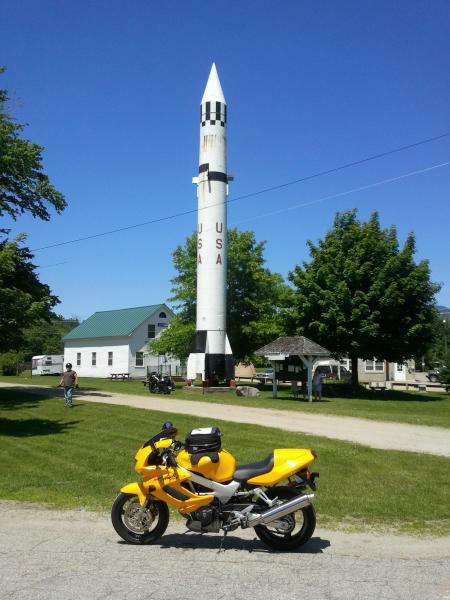 This Redstone missile is in the small town of Warren, NH. It has been there since 1971. Redstone missiles were nuclear and were being decommissioned. The town asked for one and the US government gave them one but the town had to move it at their own expense. The Redstone was also the booster rocket for the Mercury program and since Alan Shepard was from NH and the first US person in space I guess they felt it was appropriate to have one in NH. Enjoy! Makin' me dig deep now. I'll see your dead missile and raise you a mounted cobra!! As a former Charlie Model Gunship crewchief I would put the SH in that category, the Cobra and Apache are more like the CB "F's" and the CBRs. -after that DC-3 mounts your S-hawk..